This fall, my family received an unexpected gift, in the form of an unsolicited offer to buy our homestead. When I agreed to write an article for this issue of Communities, I had no idea that this gift was coming to my family. I was planning to write about my family’s journey towards finding our true vision of community. Before I got too far into writing, we were blindsided with the unexpected offer and my daily life became an emotional roller coaster. One day I was excited and ready to pass our home along to a wonderful family and find our new community—one that would be larger and more “intentional” than we have at our single-family homestead. The next day I was in tears imagining the effort it would take to explore and find a new home with a toddler and newborn in tow, not to mention a not-very-mobile family business. (We run an edible, medicinal, and native plant nursery.) At one point in the process, I even drafted this article as if I had sold my “home,” because that is what I thought we were going to do! We had an opportunity to really delve into the emotions and issues on both sides of our choice. Community is not static. How can we stay in one place, continue to get our community needs met, and adapt to change? I have lived in the same small western Oregon town for over 15 years, with a few short breaks, and have lived on the same land for over 11 years. While I have stayed, so much has changed! When I look around at the friends I have in my neighborhood, only a handful have been here even half of the time that I have. My neighbors have changed drastically and, because of that, my friends and local community too. Quite a lot of people have come and gone here on our property as well. In some ways, that is the nature of community, especially among 20- and early 30-year-olds. The paradox of wanting to grow roots in one place, but participating in the ever changing community that grows out of our modern “moving” culture. I have lived here longer than any other place in my life. When I moved here in 2000, as a young college graduate, I was excited to move across the country. I was also excited to grow roots and make a serious commitment to place: land and community. To me, the idea of “home” is meant to be for the long haul. Fifteen years later, I am a mother and overwhelmed and apprehensive about moving at all, especially if it means moving away from my first-ever “home.” Now, as before, I seek a stable long-term committed community. Having children and creating a family has helped me see how important extended family is for our overall health and well-being. Traditionally, in early “American” culture, before suburbia and the push to move for a career, most people grew up and grew old in the same place, surrounded by family. Whether or not they got along exceptionally well, family members helped each other when needed; grandparents and aunts and uncles watched young children so their parents could work. In many cases, children had instant playmates. I experienced much of this, growing up in Wisconsin within an hour of where my parents grew up and where all of my family lived. As an only child, I still had frequent playtime with my cousins and lots of social time with many aunts and uncles. Now, I am very far from that family in physical distance and in lifestyle choices and values. When I think about what community lifestyle I envision for my family, I see how it is very close to what the extended family role has been. Basically, what my husband and I, as well as many of the intentional community and cohousing seekers out there are looking for, is to create a new extended family. One of the main challenges I see is that people are still moving. At this point, if I want to stay in one place, the place where my “new” extended family also lives, I need to either accept that members of this family will come and go, or make some kind of pact with family members that we all agree to stay together or move together. The latter seems quite unrealistic, even for true relatives. For now, I see that accepting the fluidity of community and “family” will allow me to accept and appreciate what I have. A year after I moved to this town, I was very excited to be part of a dynamic community of inspiring people. My previous plans to travel fell away as I made the choice to delve into community and place. I attended a 10-day course at an intentional community less than an hour drive from my current home. During my stay, I met some amazing people and learned about the personal growth work that the community was focused on at that time. Recognizing my need to do similar work, I participated in several courses over the next five months and then made a decision to move to the intentional community. I felt sad to leave the place I first landed and yet knew I needed to make the move. One of my friends responded to my choice by saying, “So, the grass is always greener, huh?” At the time this statement truly hurt me because I felt fear that I was letting down the people I had committed to work with that year. It also shook up the part of me that always feels uncertain and ungrounded about large decision-making experiences. Is there really something better or am I just projecting my vision onto a different place instead of trying to create what I want where I am? Reflecting on that experience, moving was just what I needed. And soon I came back to this community where I first landed, to reconnect with friends like the person I mentioned above, who remains an essential part of my community to this day. This reflection reminds me to follow my instinct and heart, and trust that the right path will unfold. If we want to find a new “home,” where and how do we start our search? Visioning is always the first step for me. I like to do visioning every year for my personal needs and goals, my work and business goals, and my family. As new and busy parents, our visioning took a back seat after our son was born. As we talked casually about finding ways to better meet our needs for community, we kept “meaning” to find time for more visioning. The reality of making a serious legally-binding decision to move forced us to put visioning back at the top of the list. As I looked through our old vision writing, it was interesting to note two things. Our vision that we worked hard to write out clearly has changed very little. Much of our current home and community is aligned with our vision, except for a few key things. The key things are what we grapple with and what urged me on to considering a move. With our vision in hand, including general geographic areas of preference, it was time to start searching. I felt daunted, and still do, about the idea of finding the community we envision, knowing that we might not find a place that fits all of our criteria. I want to be hopeful and trust that we will find what we need, yet also must keep my feet grounded in reality so that we can be successful. That is why we must include in our vision the following questions: What do we need? What can we give up? Can we make it work where we are? What about you (and your family) makes cohousing a good choice for you? What is the one thing—yes, an actual thing—that you could never live without in your next home? In fifteen words or less, what’s most important for your happiness? During our search, we found a few options that looked good “on paper” at least. It was easy for me to get very excited about the possibilities, then have a reality check reminder that we really have no idea what a community is like until we visit and get to know the people. For me and my family, community is all about people. At that point, and the place we are today, we feel like we need to visit places and stay a while to really get a sense of if that place might be worth considering our future home. That said, traveling across the country with a toddler and newborn is not easy. Not to mention that we have a homestead and nursery to care for at home, although luckily we have great neighbors willing to help out a little. And those great neighbors are the people who keep bringing me back to focus on staying where we are. The lesson I learn when I get the chance to spend time with my “real” extended family is to focus on shared values to create connection. I believe that is also one way to discover and rediscover community in my current home. Instead of seeing the differences between me and others in my existing community, if I focus on the similarities such as shared values, shared needs, and shared vision, I will see the possibilities! In recent years, I have worked hard to create opportunities to feel surrounded by the community that I want. When my first son was born, I began to see clearly that I needed a network of moms. I started a weekly play group at my home with a handful of mothers and young children in my town. Whether the children played together or not, it was a great chance for us mothers and fathers to connect and share resources and support. I also started a child-care trade with a good friend and neighbor which has continued consistently for over a year. We each watch our two boys for one morning a week, which means we each get one morning free. We also have time to connect and chat before and after. I find that regular scheduled meet-ups are the key to consistency and continuation of relationship. Some of these same families and others from a nearby larger city have joined us in celebrating seasonal festivals; this is very nourishing for me. Our business and homestead have also provided opportunities for creating community. We have two smaller structures on our land where we can house guests or young people excited to learn by helping us. This past year we hosted two people who helped us grow food and plants for our nursery business. We also hosted someone who helped us install an earthen floor, do home remodeling and a variety of maintenance and building projects. We shared meals and other opportunities to connect as these people became enfolded in our family life. Our nursery and botanical sanctuary hosts workshops for local people to learn about plants and gardening. My husband and I both get the chance to teach on- and off-site. We enjoy the connections made through teaching with other institutions, communities, and individuals. Our business thrives on word of mouth and personal connection. We also hold open houses for people to come and see what we do. We have strengthened our community ties through our business as well as personal endeavors. During the time in which we were grappling with our timely decision to sell our land and start again, we attended and hosted events for our nursery business. Each day that we spent connecting with people about our passion for plants and food and healing I could see how lucky we are to be part of this community. While I struggled to remain grounded in choosing to go or stay, I felt an upswelling of appreciation for my friends and community as I called on them to listen and give advice about this big decision. It was the biggest decision I have ever made in my life. And it was so amazing to have so many people to call and talk with, most of whom live nearby. Imagining that we might choose to move across the country, away from such a strong support network, helped me to appreciate my community and home so much more. 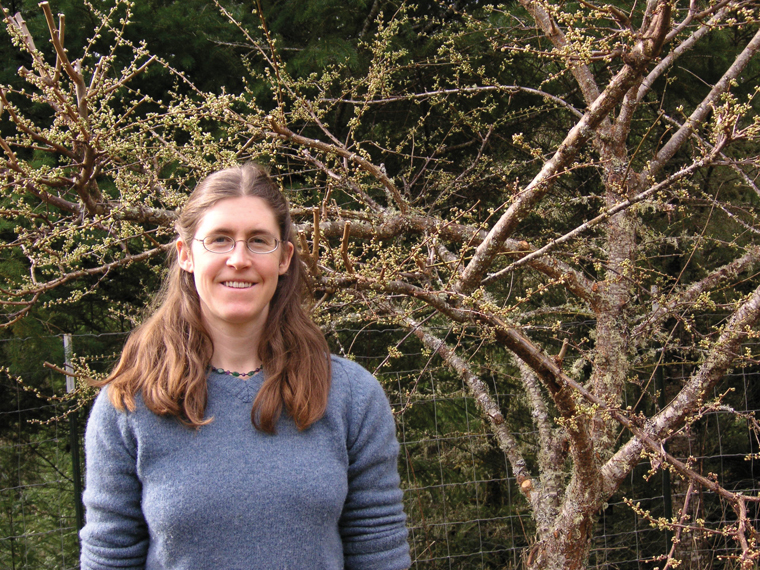 Devon Bonady is a gardener, mother, and teacher living in the Oregon forest. 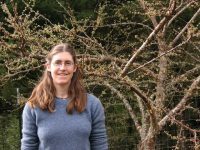 She is excited about creating and participating in community around family, nature-based homeschooling, and seasonal festivals. She can be reached at devon [AT] fernhillsanctuary.com. When we want to find or build a community, I believe a common mistake is to focus on vision. Each of us has our own unique vision, even though the differences may not be great. Focusing at this level doesn’t seem to bring us together. Instead, try focusing on purpose or mission, on the question of why and for what purpose(s) do we want a community. My sense is that when we have clarity around the true purpose of a community, it will be one most all can share. Useful starting questions might be: What is a community? What do we really want from one? Can we state its purpose in a general sense (i.e., in a way that’s broadly applicable)? Hint: what are real human needs? How do we meet our needs now (those we can meet), and how might they be met in a cooperative community or society? Being “on the move” either literally or in our thinking seems unlikely to lead to the community we want. Staying in one place and getting clear about what we really want, what community means to us, our mission or purpose seems more likely to succeed. Get a few (5 or 6) people to help you. Then we may become a nucleus around which our community can form. Community is first connectedness between people. How do we build those relationships and find our way together – really together. In our togetherness lies our power to create what we want!